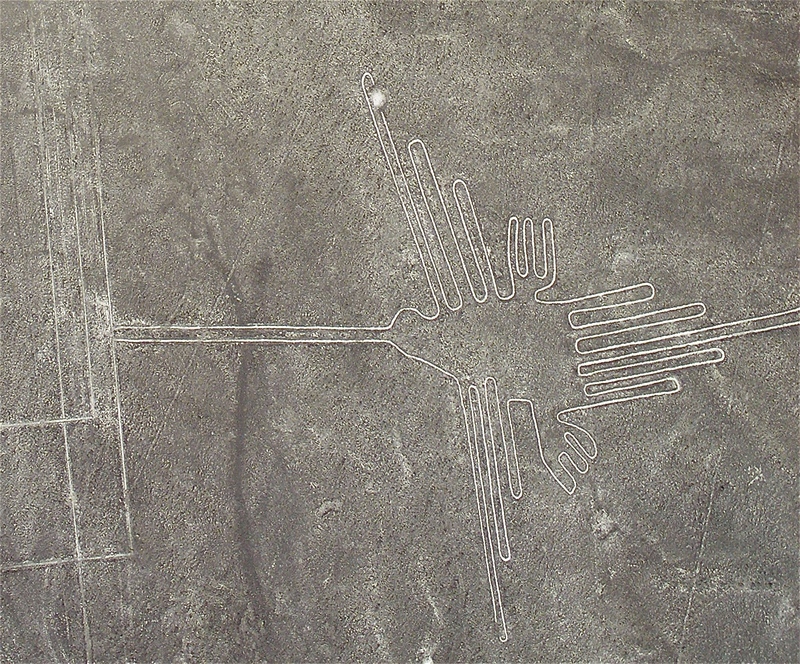 No one knows what or whom the Nazca lines were signaling, but their scale is awe-provoking. 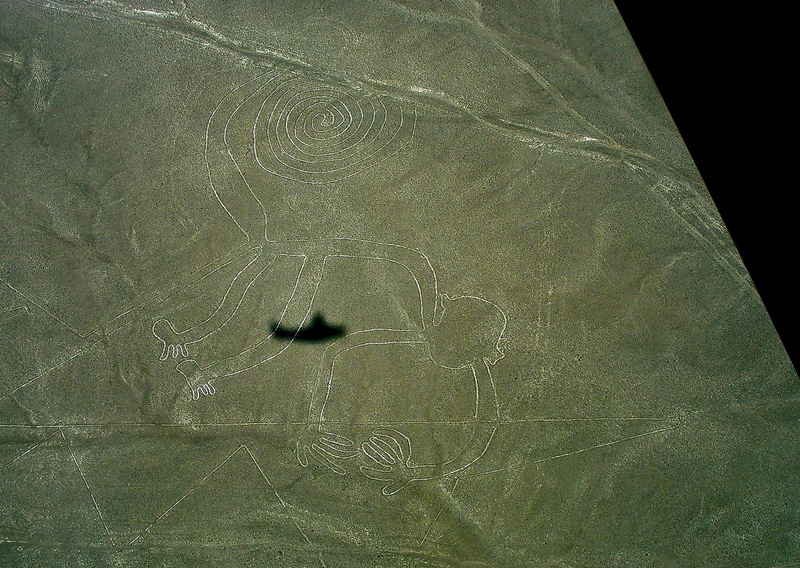 I loved playing with the position of the shadow of the plane in relation to the ancient symbols. 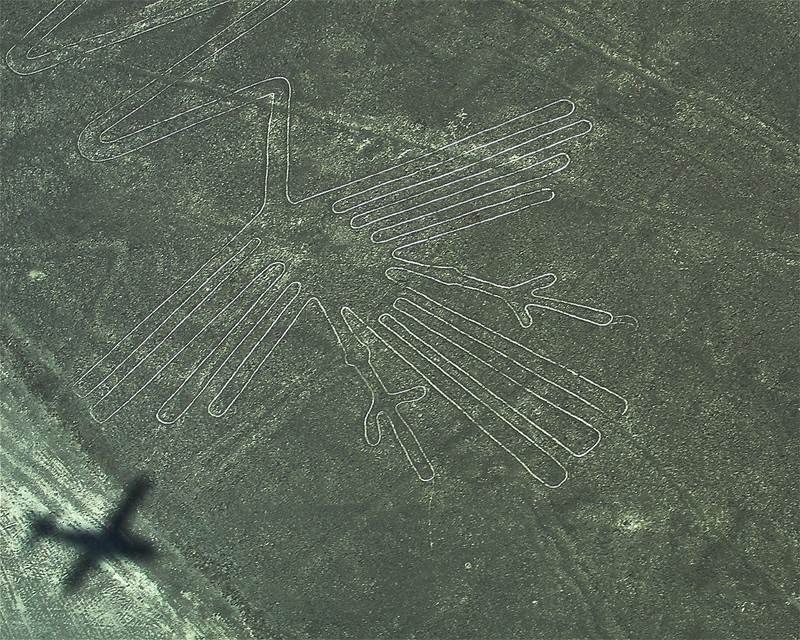 See more about the Nazca lines here. 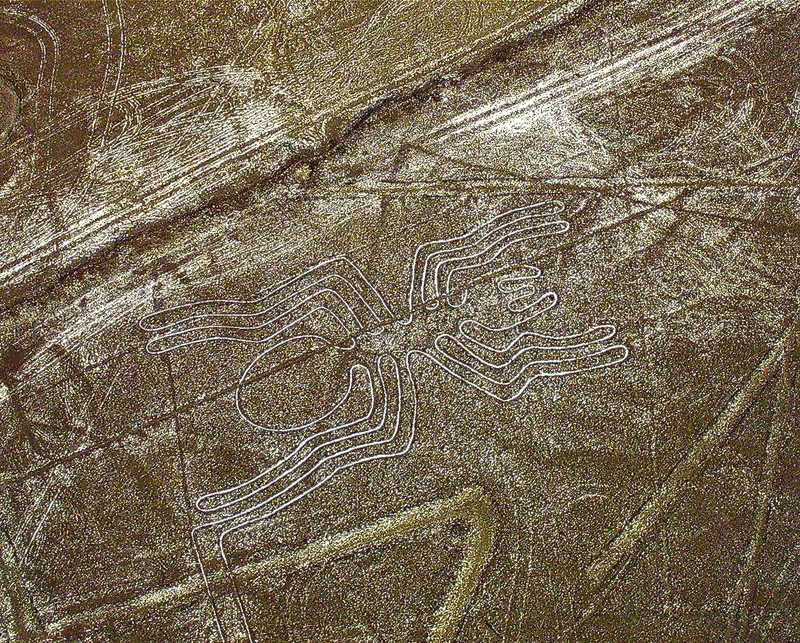 This entry was posted in PERU, SIGNS, SYMBOLS, Uncategorized, Weekly Photo Challenge and tagged Signs, Symbols, Wordpress Weekly Photo Challengs on October 3, 2014 by lifelessons. That is SO cool. I’d totally have missed the scale of the signs without the shadow of the plane. Great perspective illustration. Peru is another place that is in bucket to see. Great sign! You actually got to see this and take these pictures???! That is so cool! I have always wondered about the origin of the designs! My brother just pointed out to me that the third picture was a hummingbird! I have been obsessed with hummingbirds this summer! My pool is bordered by thunbergia, bougainvillea and honeysuckle and I love watching hummingbirds feed as I swim and exercise. I love watching them in nature much more than feeding at feeders. Their movements are more natural and graceful and I notice them more one at a time than in droves. When I saw the prompt “Ancient” it just made sense to me to reblog my own photos of ancient signs from two years ago.